The Samsung ML-5010ND is an efficient workgroup printer known for its unique anti-jam technology and ink-saving toners. Designed to boost productivity, it features an easy-to-use interface and a fast 600MHz dual-core processor. The ML-5010ND is also among the 2 quietest printers in the market today. . Its duty cycle of 200,000 sheets a month guarantees more mileage. Samsung goes back to the basics of office printing with the compact and reliable ML-5010ND, which features an eco button (for one-touch printing convenience), an OP panel, and revolutionary 'Secure Printing' feature that keeps confidential documents from getting into the wrong hands using a PIN code – a must in a printer sharing (workgroup) scenario. It can handle a full range of paper sizes and prints fast - 48ppm forA4-size and 50ppm for letter-size. Samsung ML-5010ND promises fast and hassle-free printing by preventing paper jams, costly errors, and disruptions, and thereby reducing toner and paper expenses. The advanced connectivity options that allow multiple computers to link to the machine enhance productivity and allows workgroup use. Samsung offers a range of applications exclusively available for the ML-5010ND. 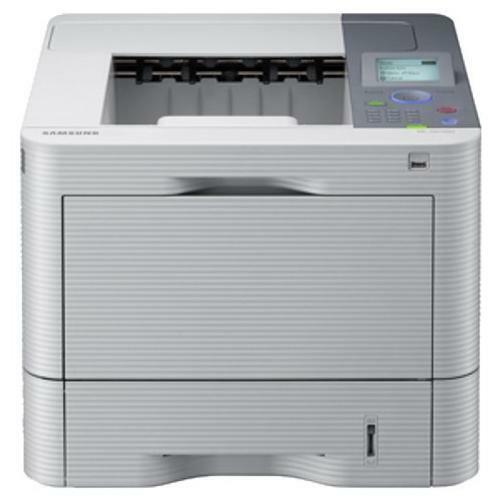 Though smart, user-friendly, and efficient, the Samsung ML-5010ND is quite bulky, taking up the same space as quadruple duty machines with built in fax, scanners, and copiers. Some users may find it more sensible to buy a multifunction printer.